Nelson Mandela has had a challenging life and full of hardship. Nevertheless, he never gave up and defended his beliefs and values till his last breath. A fighter against apartheid, the great humanist Nelson Mandela was an experienced politician, a symbol of unity and peace for his country. His goal was to build a peaceful future for all. It’s no wonder, he’s been venerated by a large number of people across the planet. Nelson Mandela, one of the most recognizable symbols of the civil rights movements in the 20th century – a man whose dedication to protect the freedom of his people and the development of civil society is an example for all. Mandela, who was sentenced to life imprisonment, became a striking symbol of resistance for the growing anti-apartheid movement and despite the harsh conditions of imprisonment, he has repeatedly refused to surrender his political position in exchange for freedom. The 27 years he spent in prison, made his name the absolute symbol of the eagerness to fight for freedom, justice and equality. Mandela was loved by everybody because he believed in reconciliation. In February 1990, after being released from prison, with even more energy than before, he restarted the fight against oppression, in order to achieve the goals that he and other people have set almost four decades before. In May 1994, Mandela was elected President of South Africa and he held this position until 1999. During his presidency the country distanced itself from apartheid and he won respect accros the world for his efforts to resolve differences, establishing dialogue both within the country and internationally. During the five years of his presidency, Nelson Mandela made a huge contribution to the development of the country. Reforms introduced by him, such as free medical care, children allowences, employment equality have helped to overcome the socio-economic inequality in the country. Nelson Mandela’s contribution to the development of South Africa is hard to estimate. “If you talk to a person in a language that he or she understands, you can make him or her think. If you talk to a person in his or her own language, you touch his or her heart”- Nelson Mandela. He lived a difficult but at the same time happy life because he saw the results of his struggle. With the death of Nelson Mandela, the world has lost not only the oldest politician of the 20th and 21st century, but the great reformer and remarkable fighter for human rights, who was awarded more than 20 different awards, including the Nobel Prize in 1993. He captured the hearts of people not only in his own country, but throughout the world, and his name is inscribed with large letters in the history of the world. Avid fighter for human rights Mr. Mandela has always remained loyal to the ideals he defended. As an example of dedication and resilience he inspired many people to fight to protect human dignity, equality and freedoms. 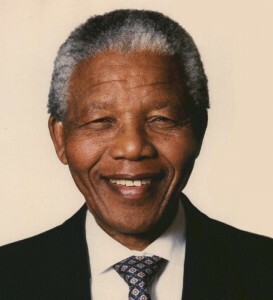 Our international organization, whose member is the Republic of South Africa, supports the ideology and appreciates the values of Mr. Nelson Mandela such as strengthening peace, dialogue, harmony and cooperation between the countries of the wider Black Sea – Caspian Sea region in the field of enhancing democratic process, consolidation of civil society, economic development, environment, science, education, innovative technology, cultural diversity, tolerance and dialogue among civilizations. In this sad day for all, we express our deepest condolences to his family and friends, all the people of South Africa, as well as to all those who cared for Nelson Mandela.